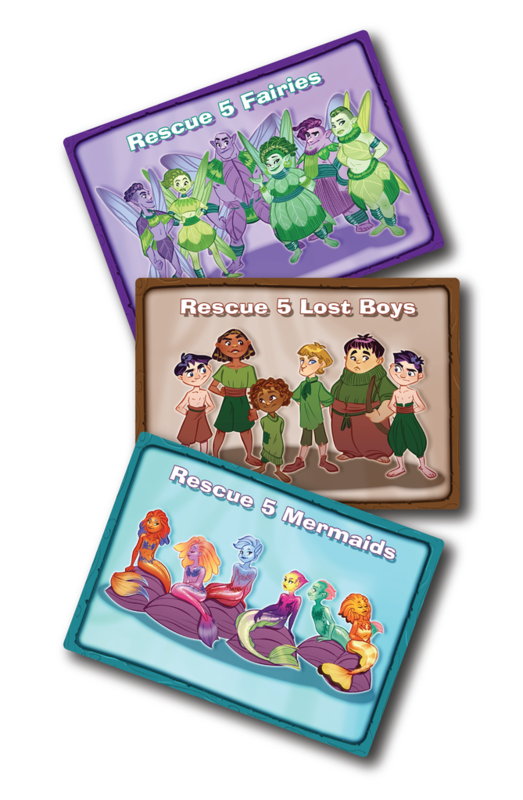 Buy The Neverland Rescue Now! 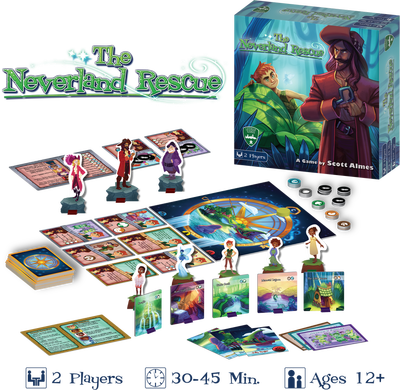 Neverland is in peril! 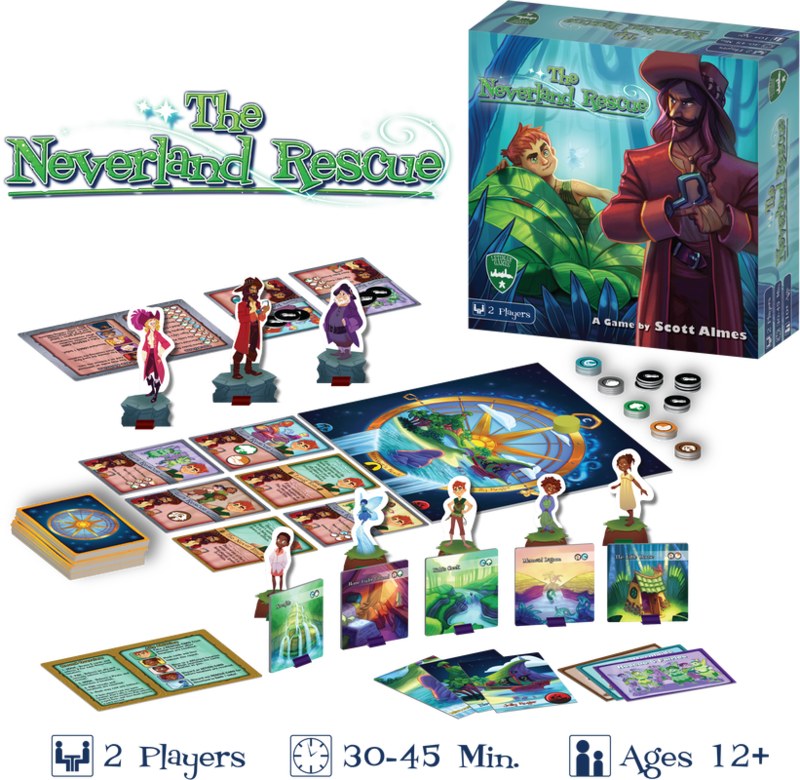 Captain Hook and his men have kidnapped the inhabitants of this beloved island! It's up to Peter Pan (with the help of Tink and the Darling Children, of course!) to find and save their friends. Who will win in this battle for control of the Land Where You Never Grow Up? 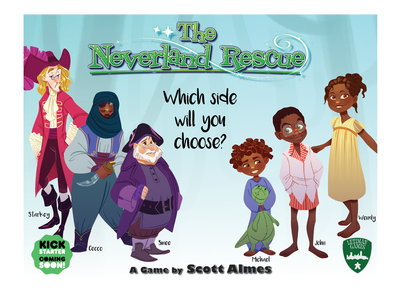 The Neverland Rescue is an asymmetrical 2-player game in which opponents take on the role of either our hero Peter Pan, or the treacherous Captain Hook. 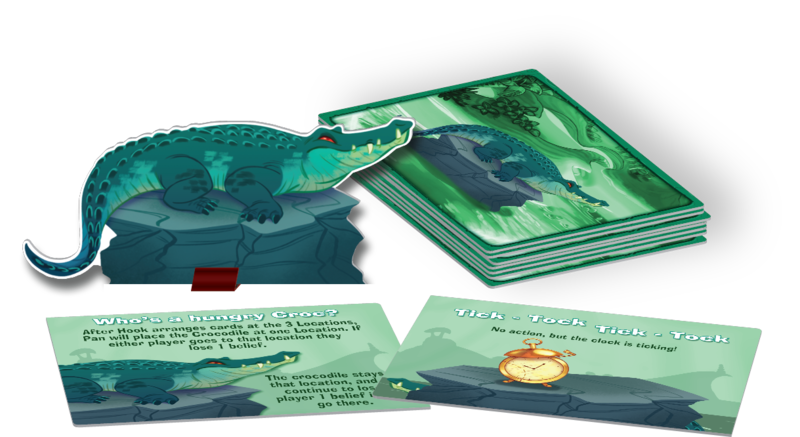 Hook will gather clues and deploy dastardly henchmen to determine the final 5 hideouts of Peter Pan and their companions, while Peter will attempt to rescue their captured friends, keep them safe, and save the land they love. 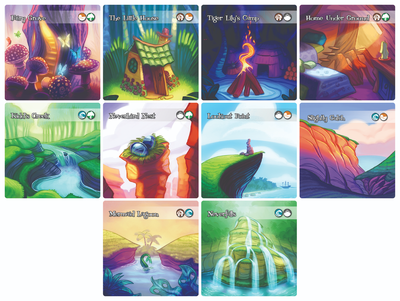 Throughout the battle, players will feel the pull of their belief in Fairies, which could just as well lead them to victory in Neverland! Cardboard Encounters of the Nerd King - The Neverland Rescue!